Everything we do, from the food we eat to the electricity we use, affects the world around us — but it wasn’t always that way. The Industrial Revolution changed the way that we created everything, from food and energy to sanitation and manufacturing technologies. How has industrialization impacted the environment, and what can we do in the future to reduce these environmental impacts? The Industrial Revolution started sometime in the middle of the 1700s, when the world’s population had finally started recovering from the deaths of the Black Plague in the 1300s that wiped out more than 75 million people. The planet’s population exploded, reaching 1 billion by 1800 and then doubling again by 1926. By the beginning of the 21st century, it had grown again to 6 billion. It was coal that shifted the balance of power — using coal as a power source changed the way that we looked at industry, from energy generation to manufacturing. We’ve been using coal since the 13th century, but it wasn’t until the 1800s that industrialization took off. Back then, we weren’t thinking of the potential impact of burning coal and other fossil fuels to power our new equipment and machinery — we were thinking of growing as much, as fast and as far as possible. It’s only in recent years that we’ve started assessing the kind of impact that we’ve had on the environment as a direct result of this exponential growth. 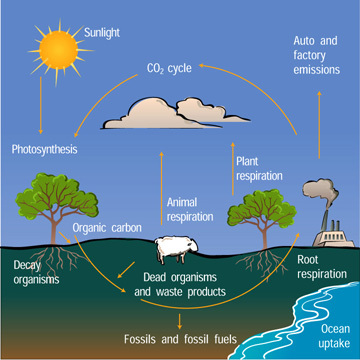 There are four primary impact points when it comes to industrialization — air, water, soil and habitat. The biggest problem is air pollution, caused by the smoke and emissions generated by burning fossil fuels. The United State’s EPA regulates more than 80 different toxins that can be found in industrial pollution, from asbestos and dioxin to lead and chromium. In spite of these regulations, industries are among the worst generators of air pollution in the world. Water pollution is also a problem in these areas, specifically in regions where factories are built next to natural water sources. These toxins can come in a variety of forms — solid, liquid or gaseous — and they can all end up contaminating the local water supplies. Even landfills and other waste disposal areas can leach toxins into the local water supply, leading to water pollution as in the case of River Nile. Soil contamination is another problem that goes hand in hand with industrialization. Lead is the most common form of soil contamination, but other heavy metals and toxic chemicals can also leach into the soil and, in turn, contaminate any crops that grow there. Finally, industrialization has led to dramatic habitat destruction. Forests are cut down for their lumber, and ecosystems are destroyed to create roads, strip mines and gravel pits. Destroying these habitats upsets local ecosystems and leads to plant and animal extinction if the species are unable to relocate or adapt to their new surroundings. Now that we’ve realized what an impact the industrial revolution has had and is still having on the environment, what can we do to fix it? There are two possible approaches that both factories and legislators can take to help reduce the impact of industrial pollution. First, industries can reduce their reliance on a product that is causing pollution. One good example is removing lead from gasoline in the 1970s. We’ve lowered our dependence on lead, which reduced the amount of this heavy metal being leached into the surrounding environment. The other option is to treat industrial waste to remove toxic components so that the rest of the waste can be disposed of safely. It isn’t always easy, and it does require that each factory implements the proper procedures to purify or cleanse their waste byproducts. However, it can help reduce the soil, air and water pollution being produced by these facilities, and also help in conservation of natural resources. The industrial revolution may have changed the way that we look at the world, but it also changed the impact we had on this planet that we call home. Now that we’ve realized the problem, it’s up to us to fix it so that we can continue to grow and change without destroying our home in the name of progress. Tagged Air Pollution, Asbestos, Coal, Dangers of Industrialization, Dioxins, ecosystems, environment, Fossil Fuels, Gasoline, Industrial Revolution, Industrial Wastes, Industrialization, Lead, Pollution, Soil Pollution, Water Pollution. Bookmark the permalink. Dear Emily, thank you for your post. Despite the fact the figures do not fully corespond to reality, I would like to inform you there exist Third way, it is part of INDUSTRY 5.0 which is being named first INDUSTRIAL EVOLUTION and it is based on systematic waste prevention. If you need to know more just ask, would be happy to tell you more.